No family has closer ties to the Dutch nation or played a greater role in the history of the Netherlands than the House of Orange. The country’s “founding father” William of Orange, leader of the Dutch Revolt that began in 1568, and his successors bore the title of “stadholder” for more than two centuries. During that time, only one stadholder bore a crown, the British crown, and that was in the 1688 Glorious Revolution, when William III of Orange and his wife Mary Stuart were invited to reign over England. Napoleon later turned the Dutch Republic into a monarchy and when the Oranges returned from exile after the Napoleonic Wars, they too adopted the status of monarch. In the course of the 19th century the Netherlands democratized and became a constitutional monarchy. From the death of the weak king William III in 1890, the Netherlands had over a century of queens: Wilhelmina, Juliana, and Beatrix. 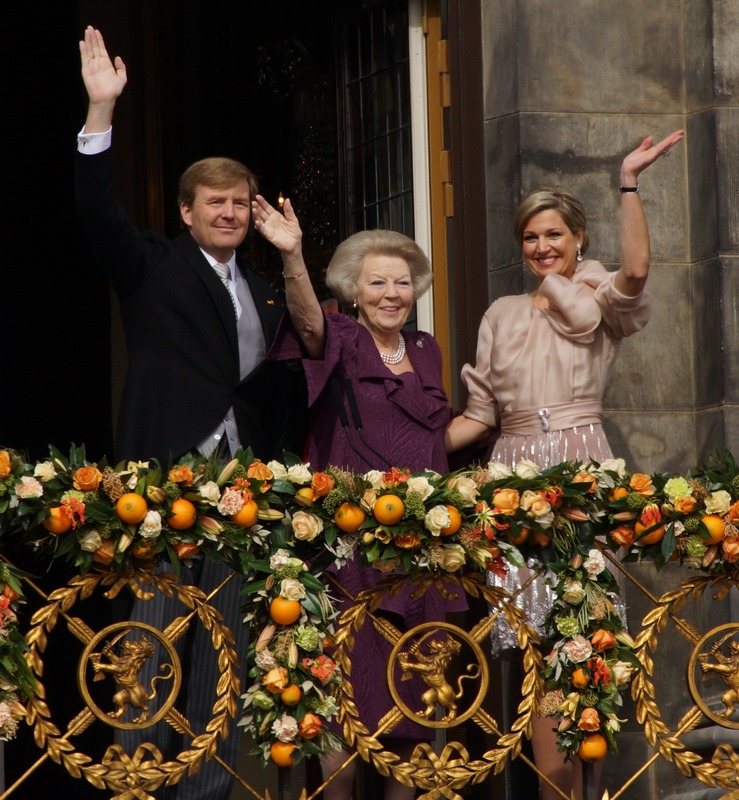 Since 2013 , the Netherlands once again has a king, William-Alexander. First broadcast: Jan 31, 2002 to coincide with the week of the wedding of then crown prince William-Alexander and princess Maxima.